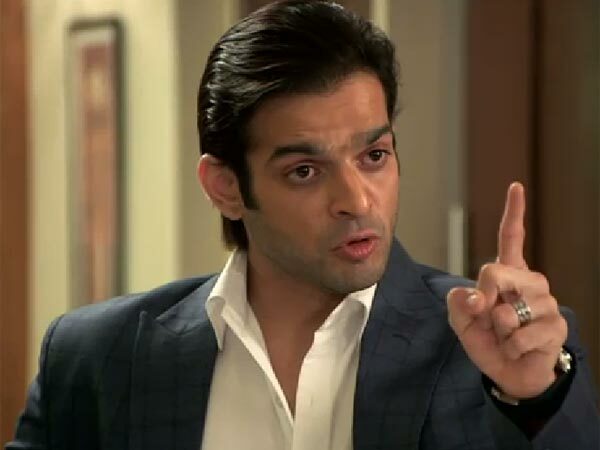 Raman gets angry! Yeh Hai Mohabbatein 4th July 2016 Episode Written Updates :- The last night episode of the TV series Yeh Hai Mohabbatein begins with Ishita’s eyes was burning because of chilli powder. Mrs. Bhalla asked her if she should apply rose water on her eyes. She asked that she will manage herself and asked Mrs. Bhalla to take rest. Mrs. Bhalla called Raman and asked him to apply rose water on Ishita’s eyes. Ishita denied him too but Raman said he could do that for her. He dipped a cotton ball in rose water and put on her eyes. He comforted her and took care of her. Now on the next morning, Mrs. Bhalla sees that Raman is sleeping by holding Ishita and Mrs. Bhalla is happy to see them together. She prayed for their happiness and togetherness. Now Bala gives the compliment to Vandu that she is too hot and perfect teacher, even the students, Shravan and his friends give them a compliment that both Vandu and Bala looks so young. Now in the Bhalla house, Romi arrives. Mrs. Bhalla welcomes him and asked him to have breakfast. Romi denied and said that he is come here to meet with Raman and Ishita to discuss something about business to them. In the mean time, Ishita woke up and when she sees that she is with Raman, she holds him and keeps looking at him with love and now Mrs. Bhalla comes and asked them to wake up as Romi come. Now Raman shocked to see that he was sleeping with Ishita by holding her and then Simmi come with tea and tease them. Ishita smiles and feels shy and Raman asked that he need to get ready as he needs to meet with Romi. Now after getting ready both Raman and Ishita arrives in the leaving room to see that the whole family is smiling on seeing them together. Raman and Ishita both of them feeling embarrassment.